JCO wishes you, their readers, and fellow bloggers a very happy and peaceful Dashera. In Gujarat we have a custom to eat Fafda and Jalebi on this day. But, today I will have Churma Ladoo with fafda..I know it's strange combination !! Place both flours and semolina on microwave proof bowl. 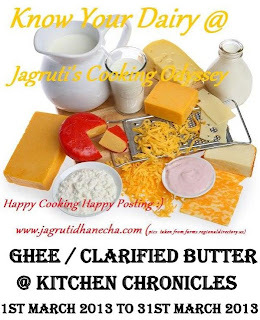 Add milk, oil and ghee, mix very well. Cover the bowl with lid and put in the M/W. Cook ladoo mixture for 7 minutes, keep stir in between. Now add grated jeggery mix well and cook for another minute. Add caster sugar, almond masala and 2 tbsp ghee. Mix very well, take little amount of cooked ladoo mixture and make a ball. Roll ladoo in khus khus. 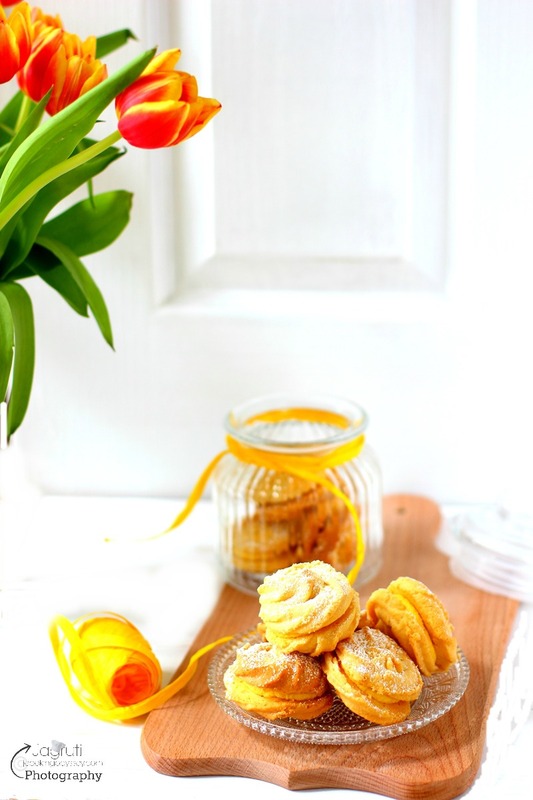 Sending this to Know Your Flours - Gram Flour event guest host by Anshie Dhar , event announcement by JCO ( me ). Also my own event Grand Festive Feasts . Know your natural sweetness - white sugar guest event by Sharans, started by me. 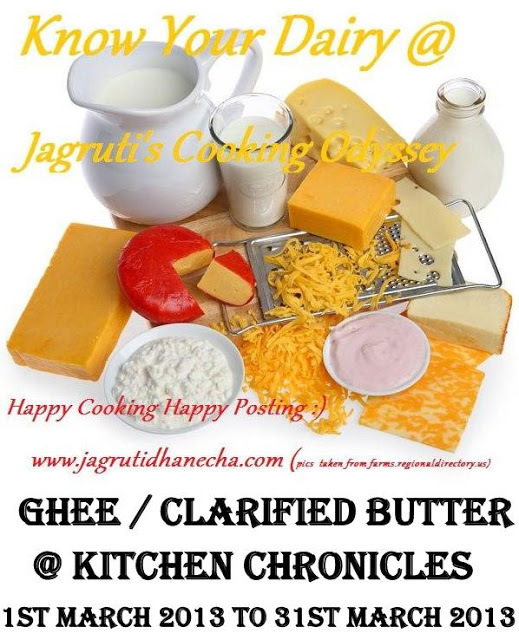 Also sending this to Lakshmi's guest host Know Your Dairy - Ghee , event started by me. Perfectly made ladoos!!! sounds new with kaskas will give a try!!! Thats soo yummy, loved this mw method,will try out soon. Thanks for sharing this recipe. I will certainly try this as Churma na ladoo is a favourite of ours. i love churma laddoos. this seems easier than traditional reciepe. why besan? i dont think churma laddoo has besan. could i make it without besan? In Gujrat very little Besan is must in Churma ladoo, besan gives ladooo a soft and silky texture and nutty taste. love the microwave version of churma laddoos. Will have to try it out soon. Delicious Ladoos..Chapathi flour is wheat flour? Really love these ladoos :) can we skip sugar and add all jaggery instead? Love this version of loddoos!! So yummy and Delish! Nice ladoos, perfectly made. Liked that you tried in microwave. Amazing... yummy sweet within 10 minutes? That's so awesome.